Tags can be used in multiple data feeds and may or may not be available historically. Some feeds are screenable via API or in the Excel screener and others are not. Crucial information, such as the calculation formula and units are also included. If you scroll down on the tag page, you will see the API Explorer. 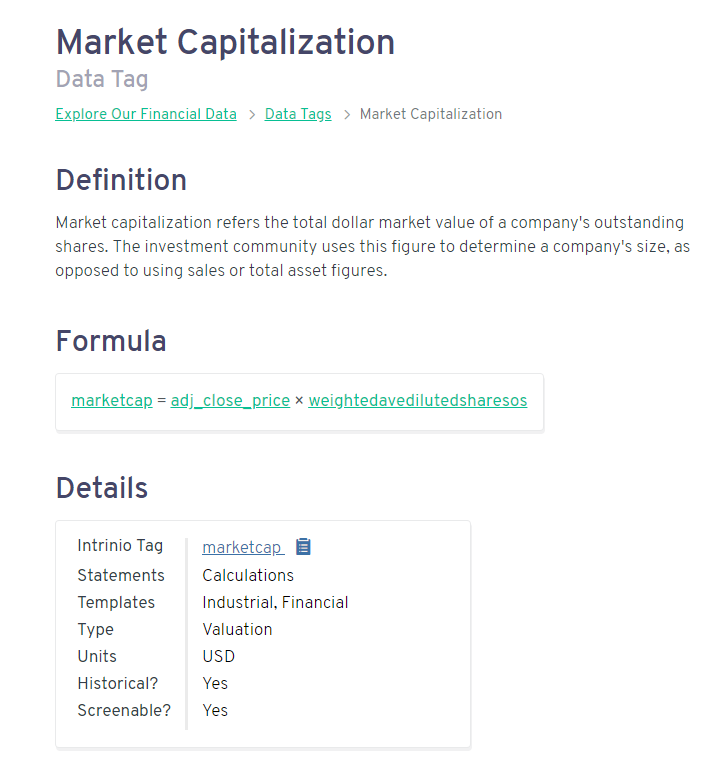 This tool will let you see sample data for the tag and export the syntax to call that data in Excel, API, or CSV format. You can read more about the API Explorer here.